Are you at risk of losing your effectiveness as a child of God? How can we do that? you might ask. I was just asking God about that this morning. You see, I was reading in Leviticus (bet you didn’t think I’d find anything fascinating there) and I came upon God’s command to the Israelites to “add salt to all of your offerings” (Leviticus 2:13). Seriously? Does God have a thing for salt? is indestructible. It doesn’t burn up. preserves or slows the decay of something, if the salt itself stays pure. is unable to lose it’s saltiness, but can lose its effectiveness by being diluted. Salt loses its effectiveness when diluted. Hmmmm. That got me thinking. Is anything diluting my purity and effectiveness as a follower of Christ? Is worldliness, materialism, busyness, love for anything more than God taking over my heart and making me less salty, less effective, and less flavorful so others can no longer see Jesus in me? Is gossip or a critical spirit or a lack of faith making me look like everyone else in the world? 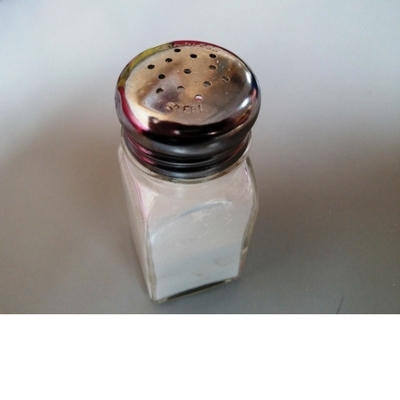 Oh Lord, keep us salt-seasoned so others will see You through our daily decisions, our obedience, and every word that comes out of our mouths. Stay salty, my friends…so others will taste godliness. What threatens to dilute your purity and effectiveness for Christ? I’d love to have that discussion with you in the comment section below. on Stay Salty, My Friends. My biggest stumbling block is fear of rejection. Sometimes fear keeps me from being salty, especially at the work place where I spend 40 hours a week with the same people… day after day after day! You’d think it would be the opposite, but it’s very difficult for me to open up and let my peers see the whole me because they always find a reason to make fun of me. They witness my honesty and integrity & a lot of times make fun of me for it – they see it as being legalistic (or rigid) where I see it as trying to live righteously and strive for Holiness! I don’t compromise, but I do get tired of it. Such a timely post! Just a few days ago, as we watched our nephews doing a choreographed dance (to secular music) through a family group text I wondered, “Is it OK to let our girls listen to pop music?”. Last night I remembered a show we hadn’t watched since last season had it’s season finale, so we turned it on and caught the end of it, and the beginning of the following show. We only have ONE ‘adult’ show we watch in our home, and I had recently been thinking of this show we used to watch and wondered why we hadn’t, and should we begin to again. Yesterday on the radio I listened to a segment that stated that we cannot make any allowances for sin in our life, with all that’s going on in our world today. We need to be sold out for Christ completely. A sin is a sin. and if we promote it in any way by allowing it in by music, television/commercials or any other means, we are diluting our faith. Or as you said, we dilute our faith and become ineffective, as followers of Christ. The Lord has answered my inquiry! Stay salty, my friend 🙂 We will do the same. 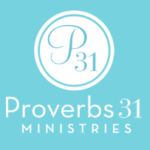 Tangibly connecting everyone’s everyday life with biblical truth – blessed ministry – praising God for you! can I stop my kids from watching cartoons? Evelyn, the beauty of our relationship with Christ is that we are free in Him, not bound by laws or rules. So it’s between you and God and your heart’s convictions what you decide in your home for your kids. There are lots of children’s shows and cartoons I let my daughter watch when she was young and they weren’t all “Christian” but they did not hurt her heart for God. Bottom line is our children will see how we live and the decisions we make and will decide if we are authentic in our relationship with Christ and that will most likely determine if they want that relationship with Him, too. So, can you or should you stop your kids from watching cartoons? That’s not my decision to make, nor is it an expectation or suggestion I put forth in this blog. The real question is “Do I love God more than anything?” When we can answer that our life and decisions can flow freely under the Spirit’s control. I hope that helps. ? Your comments echo my heart, Amber, as always. Thank you for chiming in. ?